That's That...: 2Pac - "Dear Mama"
Everyone knows "California Love" and "Hit Em Up," but it's songs like "Dear Mama" and "Keep Your Head Up" that make Tupac Shakur the greatest rapper of all time. The lay person knows Shakur as the embodiment of 90's gangster rap, but it is these songs that show that 2Pac had more heart and soul than nearly any other entertainer to bless us with their craft. 2Pac was more than a rapper. He was a political activist. He was a man who cared deeply about his friends and family. Most of all, he was a man that loved his mother. This is the only song that I could think of to post for Mother's Day. Truthfully, no other song would have done the day credit. 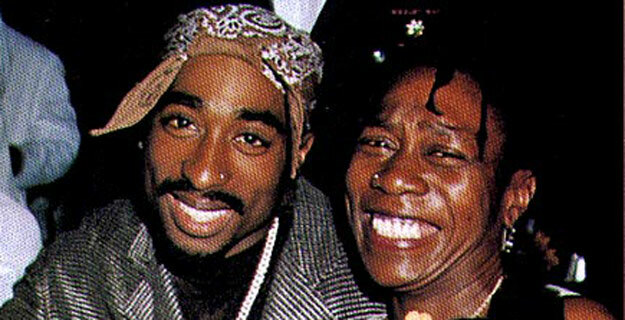 This ode to Afeni Shakur honestly depicts the hardships put on the shoulders of poor, black single mothers everywhere and is beautiful any way that you look at it. Happy Mother's Day.